Can't Find a Hikvision product? please contact us, we can get most of the Hikvision product, even if they are not listed on our website. Also Remember, there is a 3 years warranty on all Hikvision Product!!! The Lite version is a cost effective way to get wifi AC at your premises. It is the smallest in the .. The UAP-AC-LR is ideal for sites that require greater range for WiFi. Bad or low signal in a corner .. 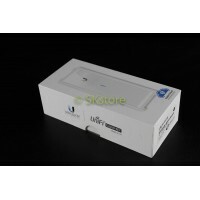 The UAP-AC-PRO is the ultimate in speed in it's series, with a combine (2.4Ghz and 5Ghz) speed of 17..
Ubiquity UniFi Cloud KeyThe UniFi Cloud Key combines the best of local and cloud management: lo.. 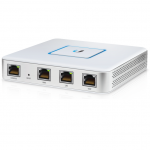 The UniFi Security Gateway provides routing and security to the UniFi ecosystem, all managed central.. 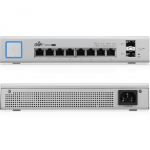 The UniFi Switch 8 is an 8 port gigabit 150W PoE switch, that not only support the IEEE 802.3af/at P.. The UniFi In-Wall Wi-Fi AP is design to retrofit into existing single-gang ethernet outlet. They als.. This camera is like a ball in it's mounting case. this means that it can rotate and turn is all dire..
With the Adjustable visor, the standard size and 50M IR range. 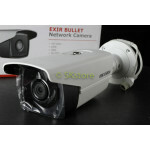 This camera will be notice quite quic..